Disclaimer: I received a complimentary shipment of Clif bar + Luna through BibRavePro ambassadorship with BibRave. These are my honest opinions. Last week, I was a bit more hungry than usual. I attributed it to the “post-marathon carb hangover” (not wanting to eat anymore carbs but still wanting to eat everything) and stress eating (the NYC marathon was right between two law school midterms). The past few days I’ve been better and back on track with eating normally. I even did Liquiteria’s Juice, Eat, Repeat cleanse a few days ago (Gilt had a promo + I had an additional discount). Speaking of food and eating, last week I ate through the last of my remaining samples. Despite getting a box of Clif bars, a box of Luna bars and a ton of FitBlogNYC samples. I finished all of them within weeks! Delivery day: Nuun, Clif Bar minis, Shot BLOKS, and Luna bars! issue is that they are huge! I could never finish them because 1) they are dense 2) they definitely fill you up. Luckily for me these were minis! Perfect for controlling your hunger. I got a box of 18 minis (9 chocolate chip + 9 macadamia nut). 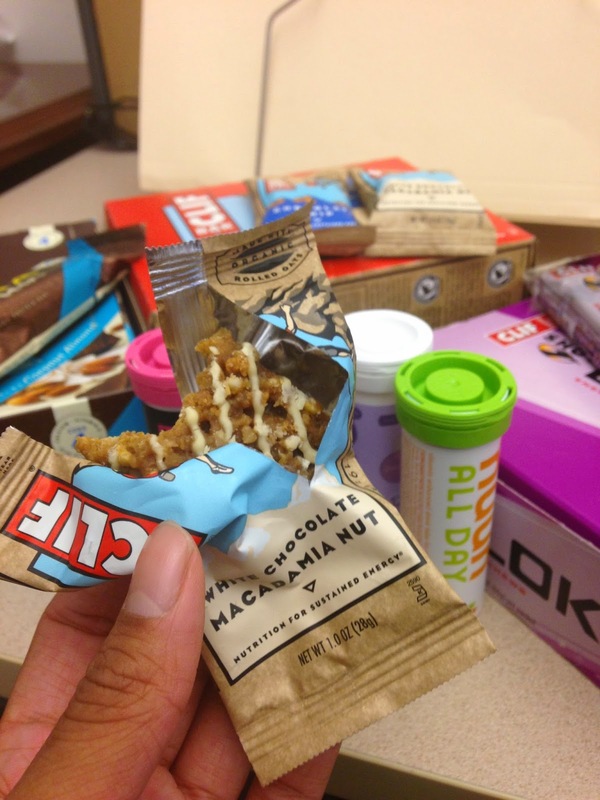 Clif Bars are made with organic rolled oats and a good source of protein and fiber. Oddly enough the macadamia nut is sweeter than the chocolate. The chocolate had little chocolate chips in them but had enough sweetness in them for me. These were the perfect size and great flavors. My roomie, sister and boyfriend tried both of each flavor and all really enjoyed it as well. These are perfect for my really looooonnnnng days where you need to control your hunger through long hours or right before and after a workout. 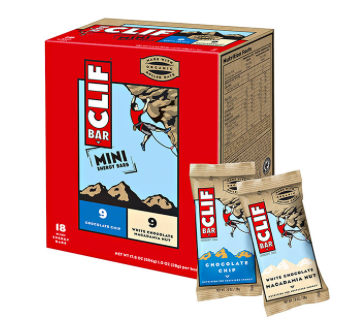 I ran out of these really fast and loved them so much I ended up buying another box on Amazon (the box of 18 minis – 9 chocolate chip + 9 macadamia nut for $12, same price on the Clif bar website). Luna bars are especially made for women but men like eating these too! I’ve had Luna bars before but not like this – these have protein. These bars have 12g of Protein, gluten free, calcium and folic acid, iron and vitamin D.
Luna bar sent me a 12 pack of Chocolate Coconut Almond. Some of the other BibRavePros got the Lemon Vanilla flavor (see Running Marathon Mom). These two are their new protein flavors Luna has been promoting. I really enjoyed the chocolate coconut almond bar and so did the sister and roomie. We all had these before the Staten Island Half a few weeks ago. It’s sweet but not coconutty at all. I don’t usually like coconut in food but I liked this. Everything blended together so well. I gave my law school classmate one a few weeks ago because she was hungry and she loved it (she literally ate it in 3 minutes). I’ve mostly eaten these before work for breakfast or after a workout. 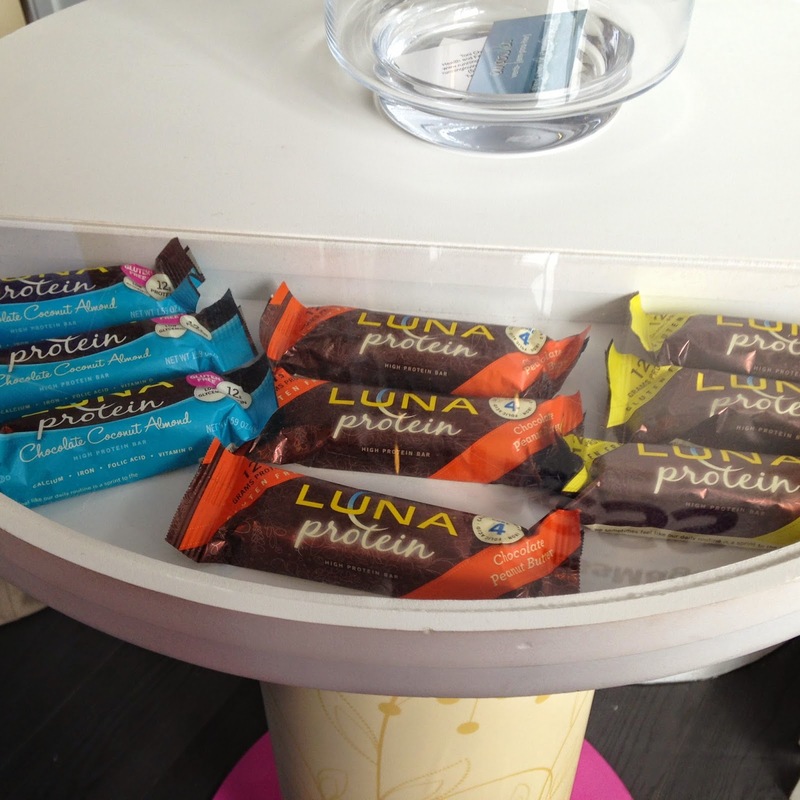 Because of FitBlogNYC, I got to try Luna’s other new flavor: Lemon Vanilla. Even though some people aren’t a fan of it, I loved it. It’s sweet without being too sweet or without feeling too heavy. 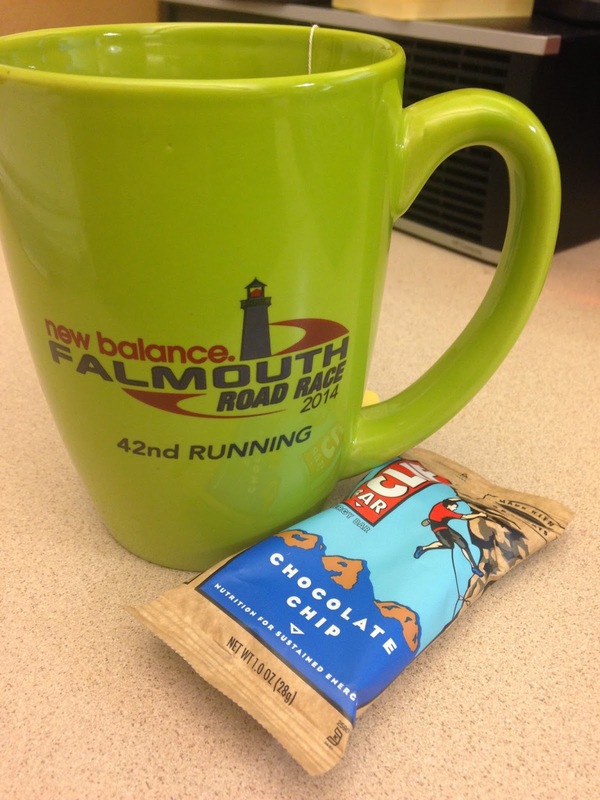 Luna and Clif bar minis are both owned by the same parent company – Clif bar. If you register on the clifbarstore website, you get 10% off your purchase. If you’re looking to try something new and delicious, I would definitely check out these two products! How do you all control your hunger? Are you all big protein/snack bar crazed like I am? I love Luna bars! I got a bunch last year at Zooma Florida and they taste like little mini peppermint patties but with all the good stuff for you! and yes the mini size is perfect! Nice review! I am glad they have the minis now! I always break mine in half b/c they are too big! Agreed – although the minis only come in 4 flavors! Thanks! I first tried Luna bars during the Nike Half and they came in sample size so it was great! I LOVE the Luna minis. Perfect size for a pre 10 mile run snack! Are you in law school? How fun! I am a lawyer! Yes agreed. And I'm in law school part-time so snacks are a must to hold me over through class.